The following is an excerpt from E. Janet Stroud’s manuscript on the history of Winecoff School. Courtesy of Historic Cabarrus Association, Inc.
Jennie Patterson was born in the seventies near Nileman’s Mill, Cabarrus County, the daughter of Alex and Christina Eve Smith Patterson. The Patterson estate, consisting of one thousands acres and adjoining the old Phifer place, was the home community of five generations of Pattersons. 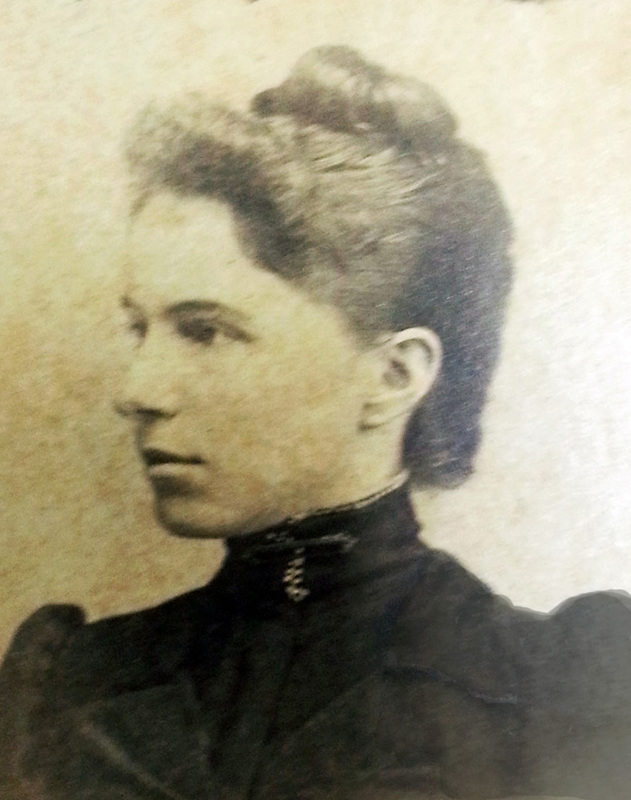 Jennie received her education in private schools and the old Mont Amoena Seminary, Mt. Pleasant. She chose teaching as her life work. Miss Patterson taught one winter at Winecoff in the early nineties. Today, one finds her teaching in the city schools of Charlotte where she has been for almost a half a century – her hair is snow white but she is still sweet, gentle and patient, her Primary pupils adore her. I hasten to answer your letter which was awaiting me on my return from Montreat last night. Yes, I taught at the Winecoff School about 45 years ago. It was winter when school began (a very severe winter it was). It seems to me there was snow on the ground most of the time. When school began someone confided to me that there had been trouble formerly in the school. But everything went on smoothly and at the end of three months, the winter term, they asked me to stay and teach a subscription school for one month, which I did. The building was an old run-down one room building but we managed to keep comfortable sitting around an open fire place. The names of some of the families who sent to school to me were Winecoff, Litaker, Goodman, and Scott. There were others too. I have never worked among people who were more loyal and appreciative. So my work in the Winecoff school was a joy. I am still teaching and love my work.